Big Dipper - The Big Dipper is part of the constellation Ursa Major, or "Great Bear". 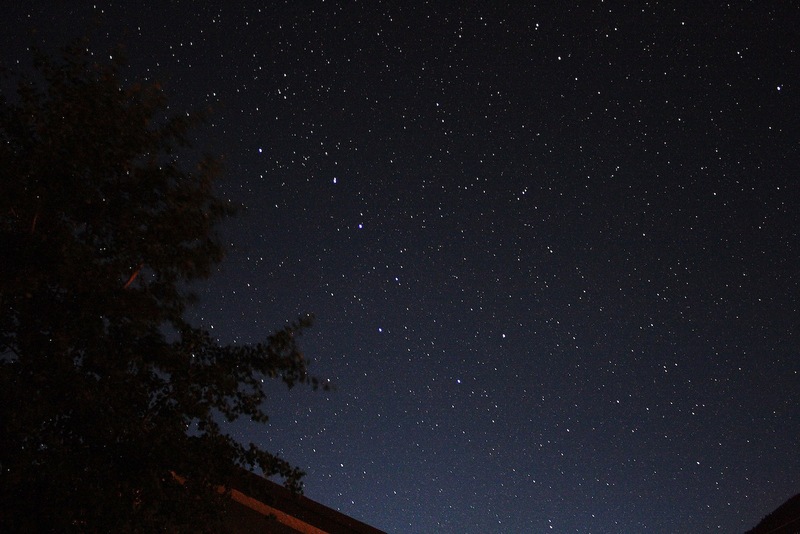 The Big Dipper is called as such because the seven stars which make it up appear to form the shape of a ladle or dipper. You can see this shape by focusing on the seven brightest stars in the picture. The two stars which make up the outer edge of the cup of the dipper lie on an imaginary line which approximately points to the north star, Polaris, visible in the far upper right. This picture was taken near Yellowstone National Park in the US.